"Throughout the world ... its agents, client states and satellites are on the defensive — on the moral defensive, the intellectual defensive, and the political and economic defensive. Freedom movements arise and assert themselves. They're doing so on almost every continent populated by man — in the hills of Afghanistan, in Angola, in Kampuchea, in Central America ... [They are] freedom fighters." Is this a call to jihad (holy war) taken from one of Islamic fundamentalist Osama bin Laden's notorious fatwas? Or perhaps a communique issued by the repressive Taliban regime in Kabul? In fact, this glowing praise of the murderous exploits of today's supporters of arch-terrorist bin Laden and his Taliban collaborators, and their holy war against the "evil empire", was issued by US President Ronald Reagan on March 8, 1985. The "evil empire" was the Soviet Union, as well as Third World movements fighting US-backed colonialism, apartheid and dictatorship. How things change. In the aftermath of a series of terrorist atrocities — the most despicable being the mass murder of more than 6000 working people in New York and Washington on September 11 — bin Laden the "freedom fighter" is now lambasted by US leaders and the Western mass media as a "terrorist mastermind" and an "evil-doer". In April 1978, the People's Democratic Party of Afghanistan (PDPA) seized power in Afghanistan in reaction to a crackdown against the party by that country's repressive government. The PDPA was committed to a radical land reform that favoured the peasants, trade union rights, an expansion of education and social services, equality for women and the separation of church and state. The PDPA also supported strengthening Afghanistan's relationship with the Soviet Union. Such policies enraged the wealthy semi-feudal landlords, the Muslim religious establishment (many mullahs were also big landlords) and the tribal chiefs. They immediately began organising resistance to the government's progressive policies, under the guise of defending Islam. Washington, fearing the spread of Soviet influence (and worse the new government's radical example) to its allies in Pakistan, Iran and the Gulf states, immediately offered support to the Afghan mujaheddin, as the "contra" force was known. Following an internal PDPA power struggle in December 1979 which toppled Afghanistan's leader, thousands of Soviet troops entered the country to prevent the new government's fall. This only galvanised the disparate fundamentalist factions. Their reactionary jihad now gained legitimacy as a "national liberation" struggle in the eyes of many Afghans. Washington's policy in Afghanistan was shaped by US President Jimmy Carter's national security advisor, Zbigniew Brzezinski, and was continued by his successors. His plan went far beyond simply forcing Soviet troops to withdraw; rather it aimed to foster an international movement to spread Islamic fanaticism into the Muslim Central Asian Soviet republics to destabilise the Soviet Union. Brzezinski's grand plan coincided with Pakistan military dictator General Zia ul-Haq's own ambitions to dominate the region. US-run Radio Liberty and Radio Free Europe beamed Islamic fundamentalist tirades across Central Asia (while paradoxically denouncing the "Islamic revolution" that toppled the pro-US Shah of Iran in 1979). Washington's favoured mujaheddin faction was one of the most extreme, led by Gulbuddin Hekmatyar. The West's distaste for terrorism did not apply to this unsavoury "freedom fighter". Hekmatyar was notorious in the 1970s for throwing acid in the faces of women who refused to wear the veil. After the mujaheddin took Kabul in 1992, Hekmatyar's forces rained US-supplied missiles and rockets on that city — killing at least 2000 civilians — until the new government agreed to give him the post of prime minister. Osama bin Laden was a close associate of Hekmatyar and his faction. Hekmatyar was also infamous for his side trade in the cultivation and trafficking in opium. Backing of the mujaheddin from the CIA coincided with a boom in the drug business. Within two years, the Afghanistan-Pakistan border was the world's single largest source of heroin, supplying 60% of US drug users. In 1995, the former director of the CIA's operation in Afghanistan was unrepentant about the explosion in the flow of drugs: "Our main mission was to do as much damage as possible to the Soviets... There was a fallout in terms of drugs, yes. But the main objective was accomplished. The Soviets left Afghanistan." John Cooley, a former journalist with the US ABC television network and author of Unholy Wars: Afghanistan, America and International Terrorism, has revealed that Muslims recruited in the US for the mujaheddin were sent to Camp Peary, the CIA's spy training camp in Virginia, where young Afghans, Arabs from Egypt and Jordan, and even some African-American "black Muslims" were taught "sabotage skills". The November 1, 1998, British Independent reported that one of those charged with the 1998 bombings of US embassies in Kenya and Tanzania, Ali Mohammed, had trained "bin Laden's operatives" in 1989. These "operatives" were recruited at the al Kifah Refugee Centre in Brooklyn, New York, given paramilitary training in the New York area and then sent to Afghanistan with US assistance to join Hekmatyar's forces. Mohammed was a member of the US army's elite Green Berets. The program, reported the Independent, was part of a Washington-approved plan called "Operation Cyclone". In Pakistan, recruits, money and equipment were distributed to the mujaheddin factions by an organisation known as Maktab al Khidamar (Office of Services — MAK). MAK was a front for Pakistan's CIA, the Inter-Service Intelligence Directorate. The ISI was the first recipient of the vast bulk of CIA and Saudi Arabian covert assistance for the Afghan contras. Bin Laden was one of three people who ran MAK. In 1989, he took overall charge of MAK. The Independent also suggested that Shiekh Omar Abdel-Rahman, an Egyptian religious leader also jailed for the 1993 bombing of the World Trade Center, was also part of Operation Cyclone. He entered the US in 1990 with the CIA's approval. A confidential CIA report concluded that the agency was "partly culpable" for the 1993 World Trade Center blast, the Independent reported. Osama bin Laden, one of 20 sons of a billionaire construction magnate, arrived in Afghanistan to join the jihad in 1980. An austere religious fanatic and business tycoon, bin Laden specialised in recruiting, financing and training the estimated 35,000 non-Afghan mercenaries who joined the mujaheddin. The bin Laden family is a prominent pillar of the Saudi Arabian ruling class, with close personal, financial and political ties to that country's pro-US royal family. Bin Laden senior was appointed Saudi Arabia's minister of public works as a favour by King Faisal. The new minister awarded his own construction companies lucrative contracts to rebuild Islam's holiest mosques in Mecca and Medina. In the process, the bin Laden family company in 1966 became the world's largest private construction company. 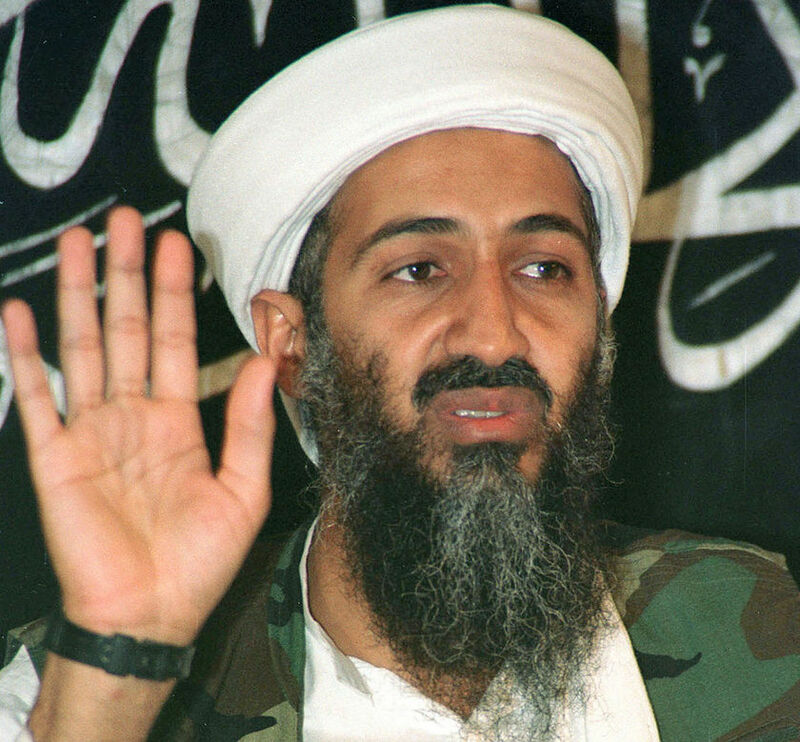 Osama bin Laden's father died in 1968. Until 1994, he had access to the dividends from this ill-gotten business empire. Osama's military and business adventures in Afghanistan had the blessing of the bin Laden dynasty and the reactionary Saudi Arabian regime. His close working relationship with MAK also meant that the CIA was fully aware of his activities. Milt Bearden, the CIA's station chief in Pakistan from 1986 to 1989, admitted to the January 24, 2000, New Yorker that while he never personally met bin Laden, "Did I know that he was out there? Yes, I did ... [Guys like] bin Laden were bringing $20-$25 million a month from other Saudis and Gulf Arabs to underwrite the war. And that is a lot of money. It's an extra $200-$300 million a year. And this is what bin Laden did." In 1986, bin Laden brought heavy construction equipment from Saudi Arabia to Afghanistan. Using his extensive knowledge of construction techniques (he has a degree in civil engineering), he built "training camps", some dug deep into the sides of mountains, and built roads to reach them. These camps, now dubbed "terrorist universities" by Washington, were built in collaboration with the ISI and the CIA. The Afghan contra fighters, including the tens of thousands of mercenaries recruited and paid for by bin Laden, were armed by the CIA. Pakistan, the US and Britain provided military trainers. Tom Carew, a former British SAS soldier who secretly fought for the mujaheddin told the August 13, 2000, British Observer, "The Americans were keen to teach the Afghans the techniques of urban terrorism — car bombing and so on — so that they could strike at the Russians in major towns ... Many of them are now using their knowledge and expertise to wage war on everything they hate." Al Qaeda (the Base), bin Laden's organisation, was established in 1987-88 to run the camps and other business enterprises. It is a tightly-run capitalist holding company — albeit one that integrates the operations of a mercenary force and related logistical services with "legitimate" business operations. Bin Laden has simply continued to do the job he was asked to do in Afghanistan during the 1980s — fund, feed and train mercenaries. All that has changed is his primary customer. Then it was the ISI and, behind the scenes, the CIA. Today, his services are utilised primarily by the reactionary Taliban regime. Bin Laden only became a "terrorist" in US eyes when he fell out with the Saudi royal family over its decision to allow more than 540,000 US troops to be stationed on Saudi soil following Iraq's invasion of Kuwait. When thousands of US troops remained in Saudi Arabia after the end of the Gulf War, bin Laden's anger turned to outright opposition. He declared that Saudi Arabia and other regimes — such as Egypt — in the Middle East were puppets of the US, just as the PDPA government of Afghanistan had been a puppet of the Soviet Union. Today, bin Laden's private army of non-Afghan religious fanatics is a key prop of the Taliban regime. In an August 28, 1998, report posted on MSNBC, Michael Moran quotes Senator Orrin Hatch, who was a senior member of the Senate Intelligence Committee which approved US dealings with the mujaheddin, as saying he would make "the same call again", even knowing what bin Laden would become. "It was worth it. Those were very important, pivotal matters that played an important role in the downfall of the Soviet Union." Another face that has appeared repeatedly on television screens since the attack has been Vincent Cannistrano, described as a former CIA chief of "counter-terrorism operations". Cannistrano is certainly an expert on terrorists like bin Laden, because he directed their "work". He was in charge of the CIA-backed Nicaraguan contras during the early 1980s. In 1984, he became the supervisor of covert aid to the Afghan mujaheddin for the US National Security Council. The last word goes to Zbigniew Brzezinski: "What was more important in the world view of history? The Taliban or the fall of the Soviet Empire? A few stirred up Muslims or the liberation of Central Europe and the end of the Cold War?"